It appears that version 1.8.7 of the Arduino IDE requires a definition of the showString( ) function to be placed in the main sketch. This problem manifested itself in the linked thread, which concerns the 3-phase PLL sketch. This version is now obsolete – see post no.15 below. That parallel build could be a root cause… I looked through the rest of the release notes back to 1.8.1 and nothing else stood out as a possible cause. So did I, and nothing stood out for me either. But it’s a significant change of behaviour from previous versions. For the benefit of others, I do hope this latest version will soon be placed/linked to in the Resources section. Frankly - I find it difficult/impossible to locate single & 3 phase sketches as clicking on links just takes me in a circle back to where I started from. On a separate/related topic - There is an excellent guide - ‘Using the Arduino IDE’ within the LEARN Electricity Monitoring section. There should be a prominent link to this in the RESOURCES section, in my opinion. I have extended the 3-phase PLL sketch to cover now a 3-wire (no neutral) system as well as the 4-wire (with neutral) system. In the 3-wire setting, one phase is treated as the neutral, and the system then collapses into a 2-phase system with the second phase lagging 60° behind the “reference” phase, the a.c. adapter being connected line 1 – ‘neutral’ phase. In this configuration, the two phase “powers” are meaningless, only the total power (real and apparent) is a valid physical quantity so the total power is reported as “power1”, and “power2” is always zero. Each c.t. can now be allocated to any phase. Extract the directory “emonTx_3Phase_PLL” and put it in your “sketches” folder. You can put the documentation where you wish. This version is now obsolete – see post no.13 below. Should this be in Github (https://github.com/openenergymonitor/emontx-3phase) with the “other” 3-phase sketch? Is there any reason this one doesn’t supersede the one already in Github? From my point of view, it’s immaterial. I’m happy to be responsible for the version I publish, once a third party makes a change of any sort, responsibility passes to them. The GitHub version was put there by @Simsala, then Dan Bates made a change - a very poorly thought out change - that I could not agree to, so he’s now responsible for that version. Is there any reason we shouldn’t create a PR for this version and merge it in? I don’t “do” GitHub, it’s an impenetrable mess to me, so I’ve no view on the matter. To be clear a ‘Pull request’ in github is a suggestion for a change, and @danbates pull request was not merged in this case. I’m sure Dan was just trying to help and suggest an improvement, is there a discussion somewhere that discusses the proposed changes? This PR has now been merged. Current master branch of emontx-3phase is now V1.4 with 3-wire and 4-wire support. emonTx 'approximate' 3-phase firmware. 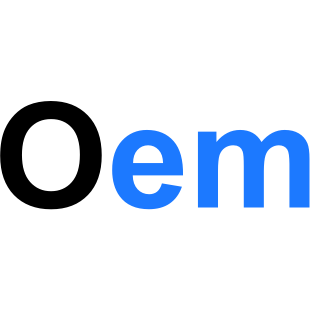 Contribute to openenergymonitor/emontx-3phase development by creating an account on GitHub. Following on from difficulties in using this sketch with an ESP8266 module, the documentation has been changed to note that the baud rate setting in the ESP module must be reduced to 9600 baud. This release has no changes to the sketch, which remains at V1.4. If you are updating your documentation, it is only necessary to extract that. An incorrect space character in the formatted output (3-wire system) for the ESP8266 has been corrected. There is no other change.